This practice builds consciousness on multiple levels. It expands our consciousness by broadening our awareness of the human condition and those who perhaps lie outside our everyday experience. It is also very helpful in building our capacity for empathy- a critical skill for an elevated consciousness. It can be a powerful way of helping us remain objective about the size of challenges we are confronted with. Even significant challenges in our life can shrink dramatically when we spend some time thinking about what life is like for someone who lost all they had and half of who they knew in a tsunami, or what life is like for a refugee who recently lost their children to starvation because they were caught in the middle of a bloody civil war. And finally, it helps build our community as we take time to be conscious of each others’ challenges and pains. In a tightly knit, loving community, love should be multiplied, and pain should be divided. It can mean the world to a fellow member of the community who is down, for you to reach out and let them know you care. For this practice, take some quiet time each day to think about someone who is having a difficult time or is otherwise significantly less fortunate than you. 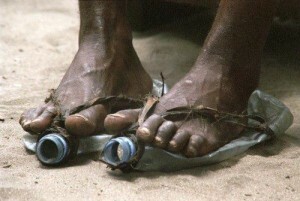 Put yourself in their shoes and try to imagine how life looks to them right now. Try to imagine being them right then, and vividly see, hear and feel yourself living in their circumstances, having to face what they face, and feeling what they feel. Then consciously send them loving, supportive energy (not with an aim toward removing their challenges, but rather to nurture and strengthen them). It is best to do this from a calm, serene meditative state where you are focused only on them. Once you have done that, if it is someone you personally know, consider sending them a brief note or calling them up to say hi, and let them know they are important to you and that you care about them. Each day of the week you should select a different person or group of people to focus on. This is not to say if you have a friend who is having a bad week you should only focus on them once. But rather, you may need to focus on them, in addition to a new person or group each day. We recommend holding this meditation for five minutes a day.